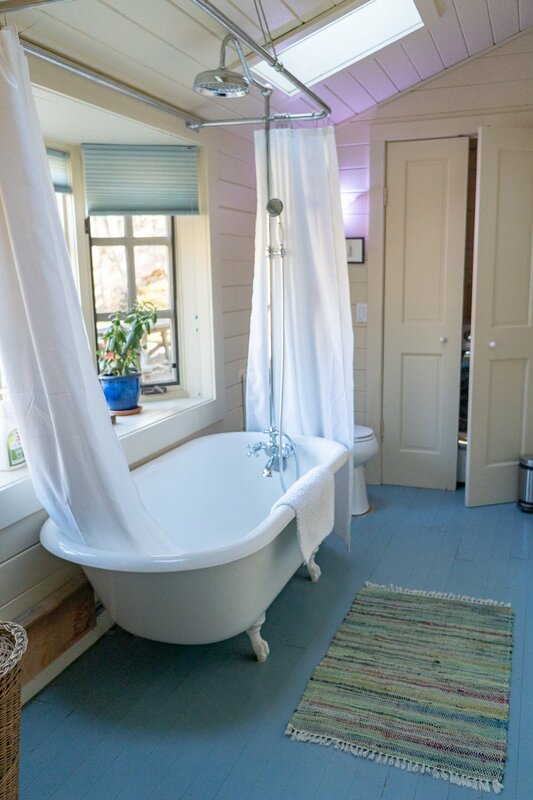 Escape to a tranquil creative haven tucked away in the forever-wild Catskill mountains. 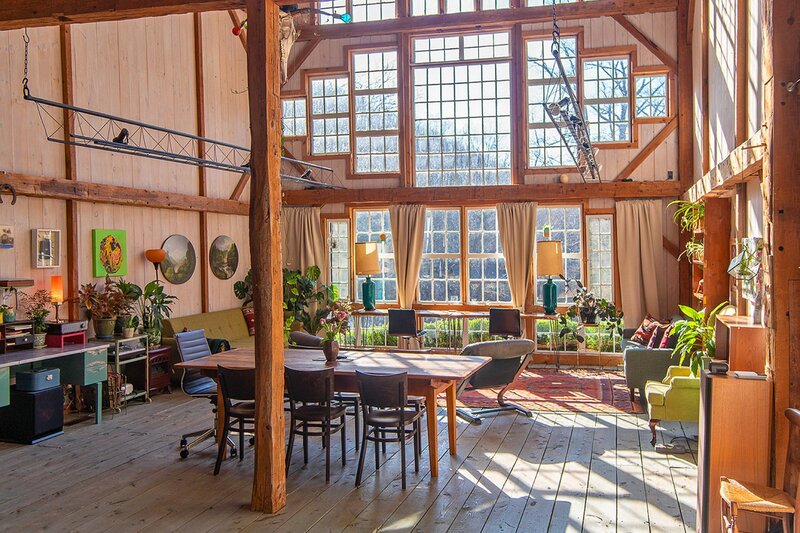 Book Strange HQ for retreats, workshops, offsites, and other gatherings among friends and collaborators. 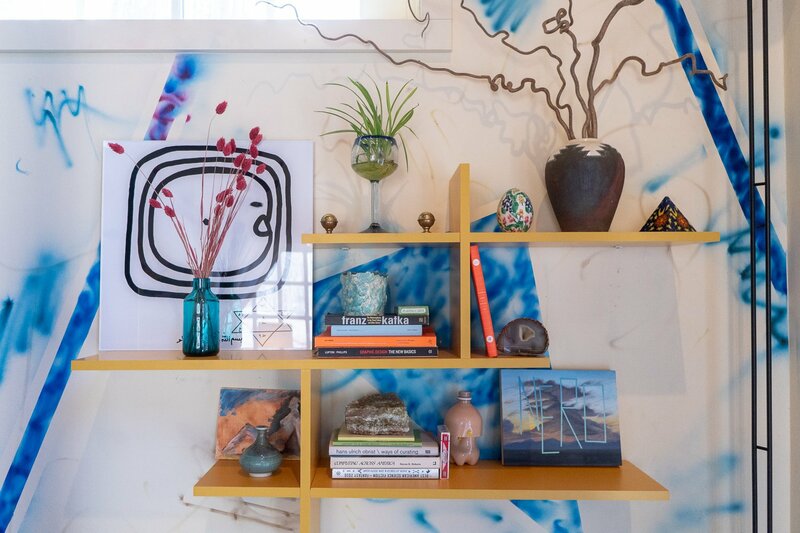 Strange HQ is a riverside creative space and mini compound on the northeast side of New York's Catskill State Park, just 2.5 hours north of NYC by car. 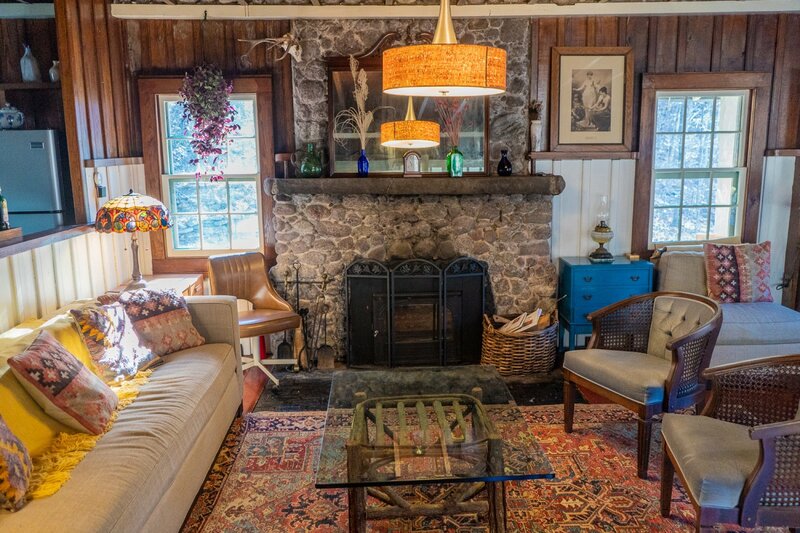 Situated near the end of a winding dirt road, it is nestled between brooding mountains, old-growth forests, a spring-fed pond, and a melodic river. 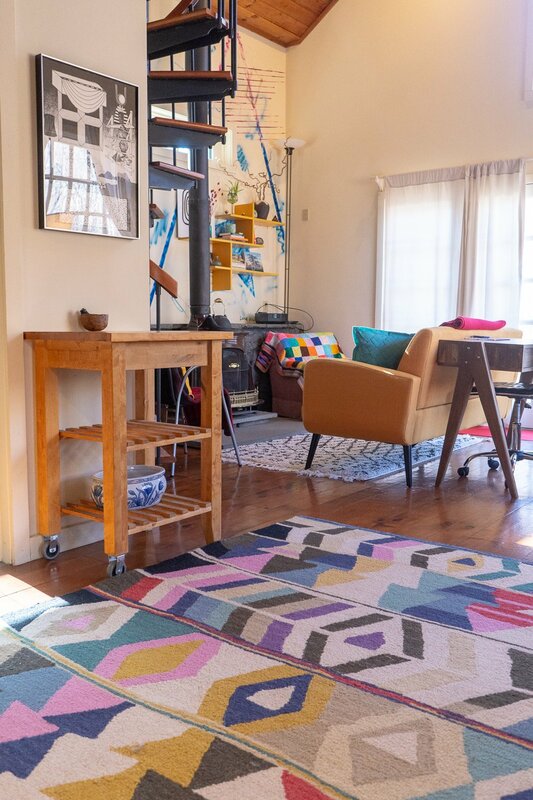 We have three separate spaces where we host guests—each with its own imaginative vibe and full set of amenities—and can accommodate up to 12 overnight guests. The original structure of our restored post-and-beam barn dates back to the early 19th century. 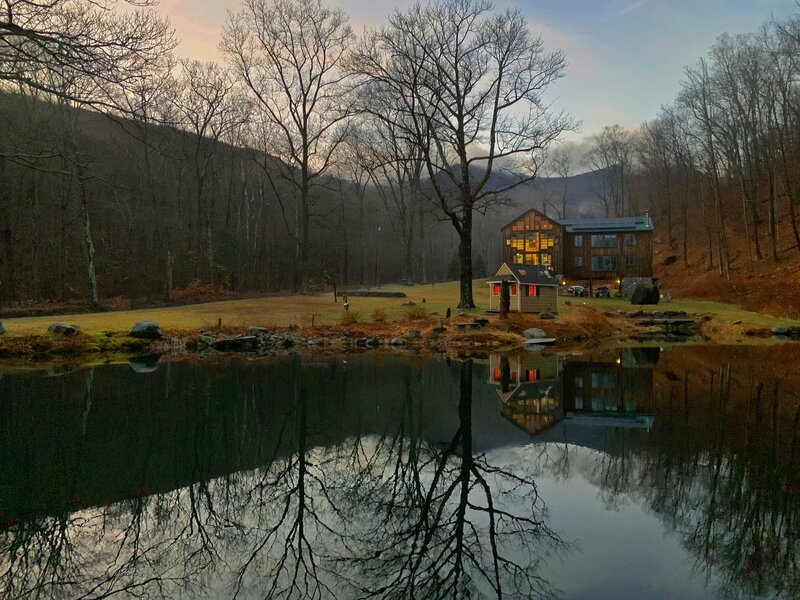 It has an incredible three-story facade of south-facing antique glass windows, which look out on a view of the spring-fed pond, the forested mountains beyond, and the sky above (which is especially striking on full-moon nights). 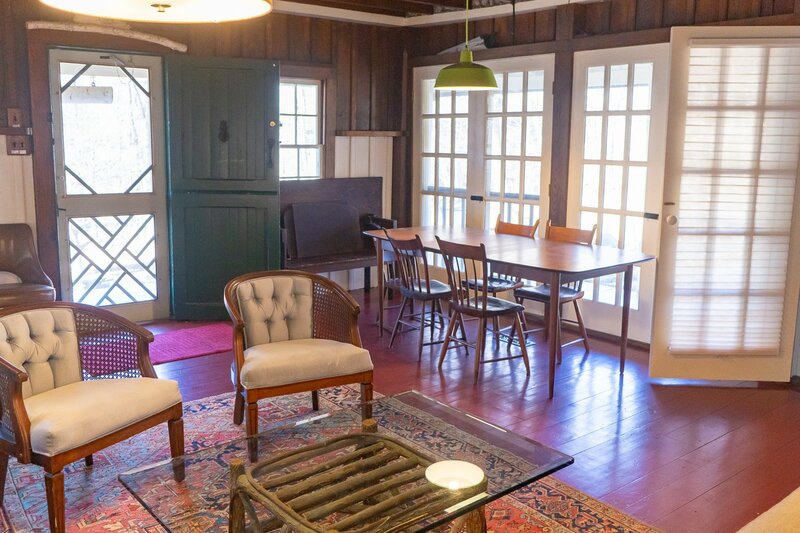 On the first floor, there is an expansive living area with two couches, a large farm table for working and dining at, several desk spaces, a small but fully equipped kitchen (with gas two-burner range, refrigerator, dishwasher, toaster oven, microwave, and coffee-making equipment), and a bathroom (with a clawfoot tub, Toto heated seat and bidet, and Finnish-style sauna). 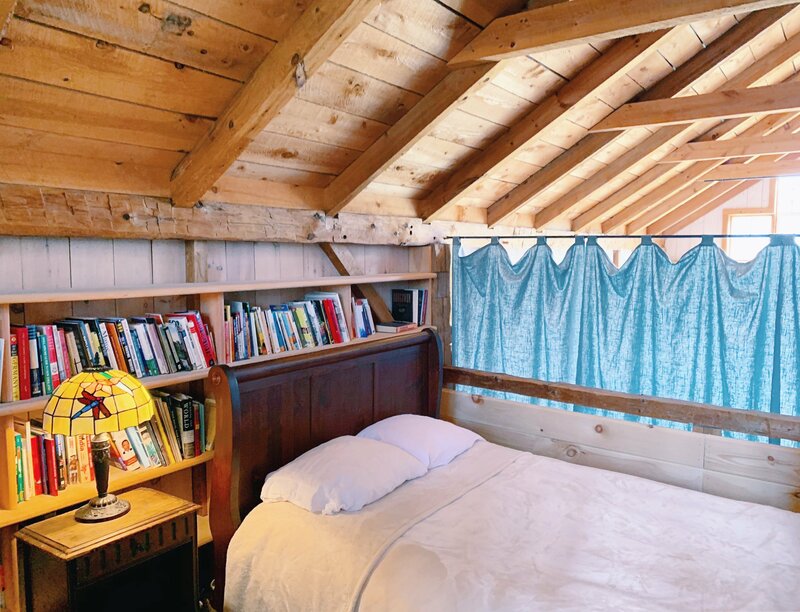 On the second floor, there is an open-floor-plan sleeping loft with three comfortable beds—one queen and two doubles—each in its own nook within the loft. 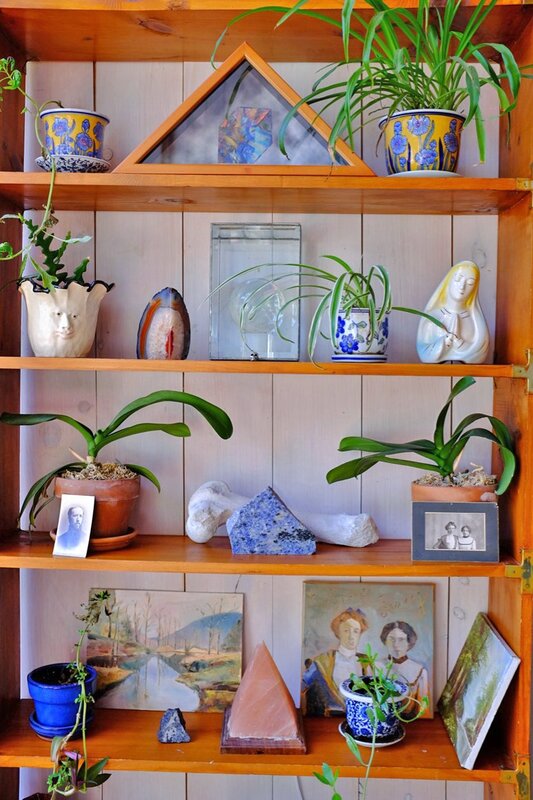 The barn is outfitted with books, art, plants, art supplies, and a high-quality sound system. 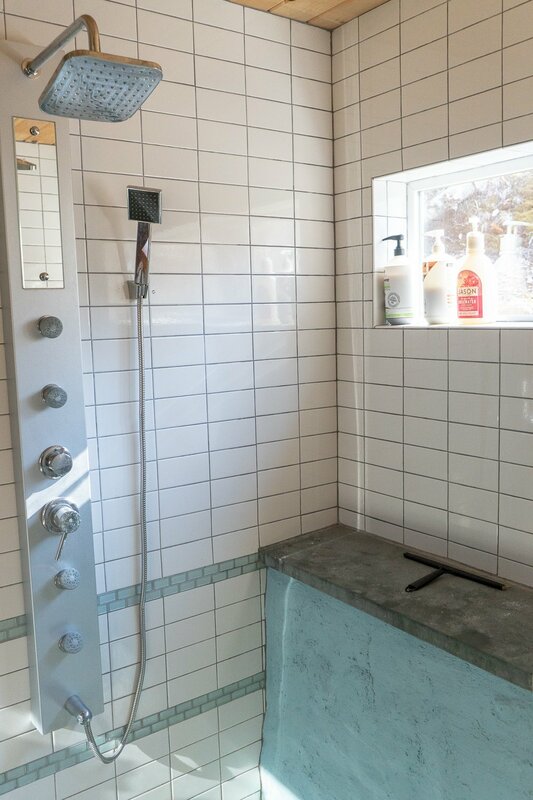 There is an additional bathroom and laundry room in the barn's basement, which may be used by guests. 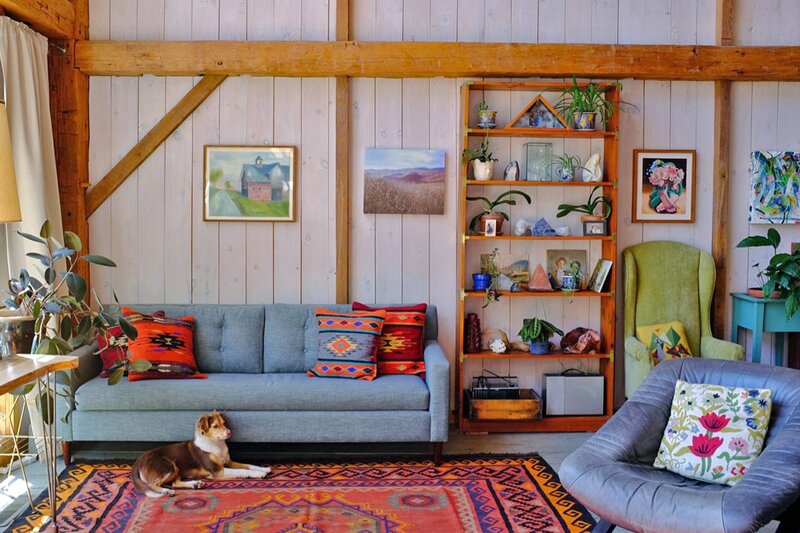 *Note that the barn workspace and loft are connected to the property owner's apartment by a shared wall. 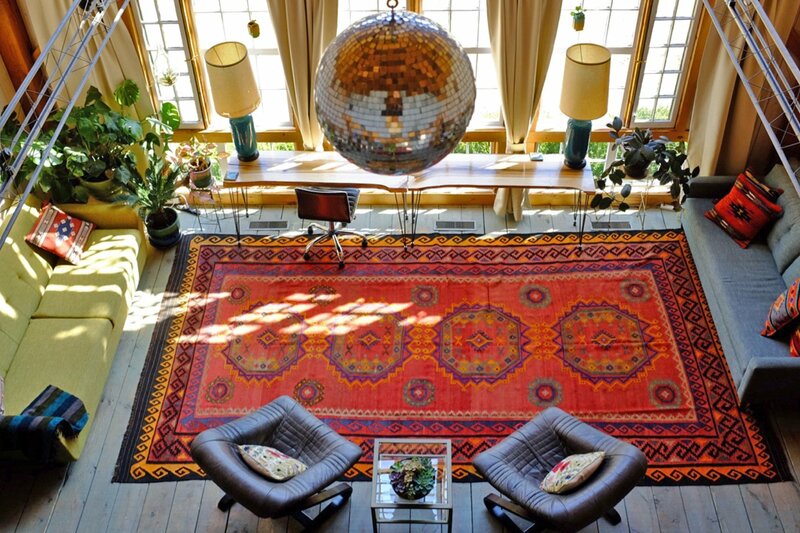 The barn space is completely private, however, and has its own separate entrance. The Studio House was once a stone garage, which is evident in certain features, such as the interior stone work and wide front french doors. 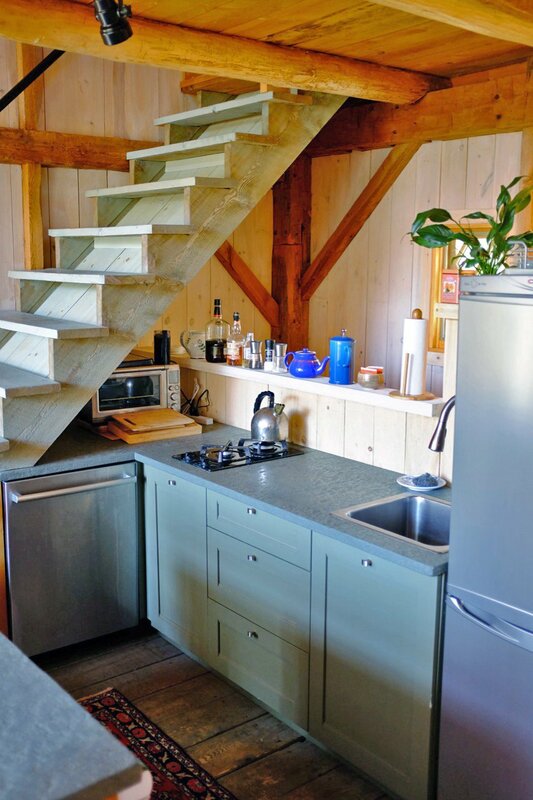 It is now a colorful and modern cottage, and is set up to be an ideal creative workspace for one or two people. 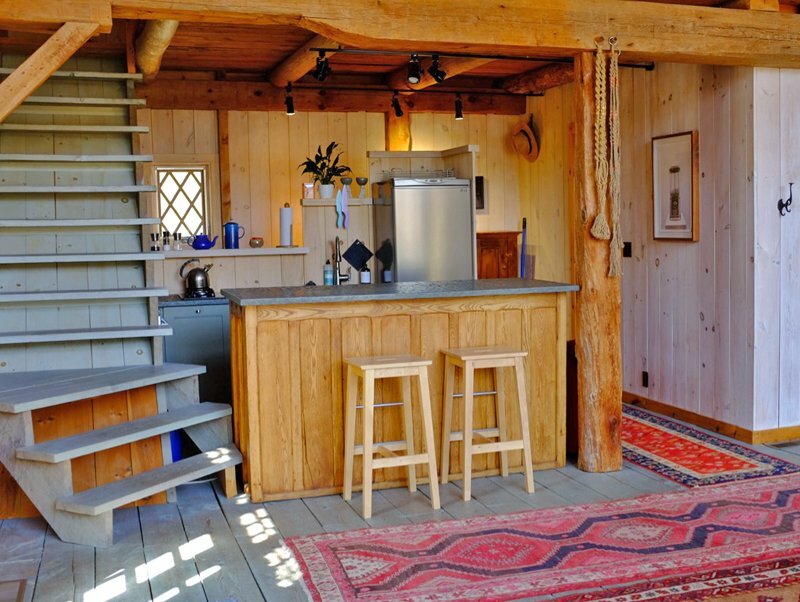 The first floor has a cozy living area with wood stove, a large dining table to work from or eat at, a kitchen (with oven and four-burner gas range, refrigerator, toaster oven, and coffee-making equipment), a desk space, and a bathroom with spa shower. 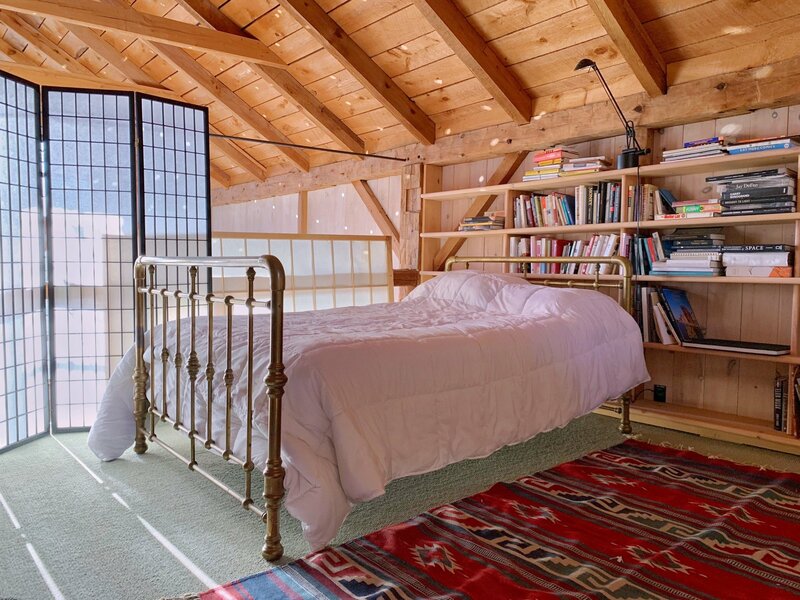 Upstairs is a lofted sleeping area with queen bed, accessed by a spiral staircase. 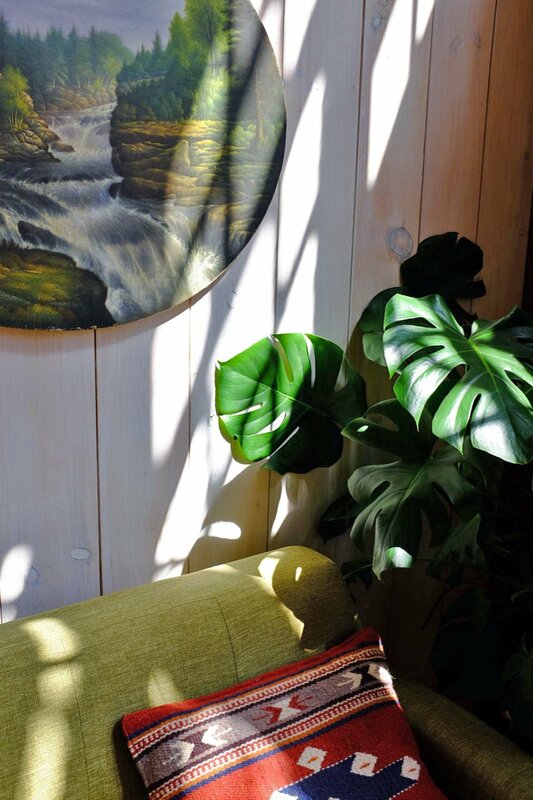 Outside, a stream trickles by, providing the studio with zen ambiance. "Lily of the Valley" was the original home on the property, built over 100 years ago by the town sheriff who used to hunt in the old-growth forests in back of the house. 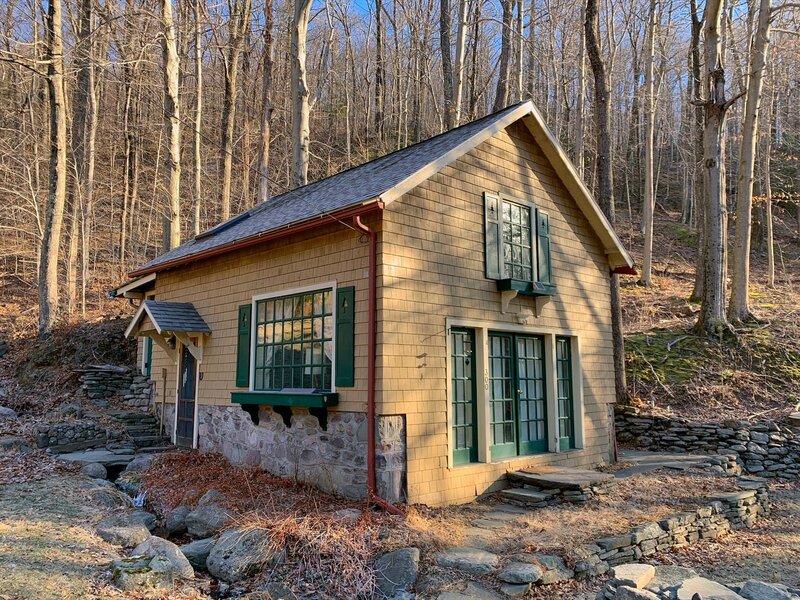 It's a large chestnut post-and-beam cabin, with original stonework, a wrap-around porch, and a sweeping view over the pond, barn, and mountains beyond. 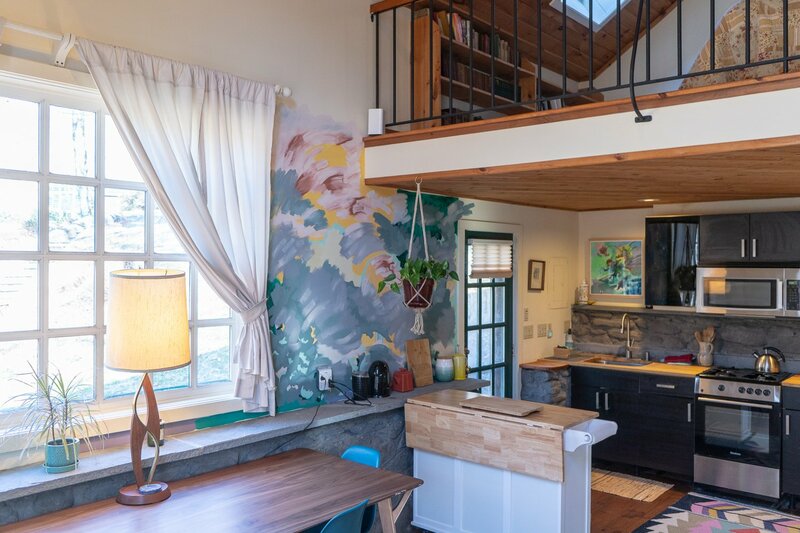 Inside, there is an open-style living and dining area with large stone hearth, a fully equipped kitchen (with oven, four-burner gas range, refrigerator, toaster oven, and coffee-making equipment), and a bright, airy bathroom with claw-foot tub. 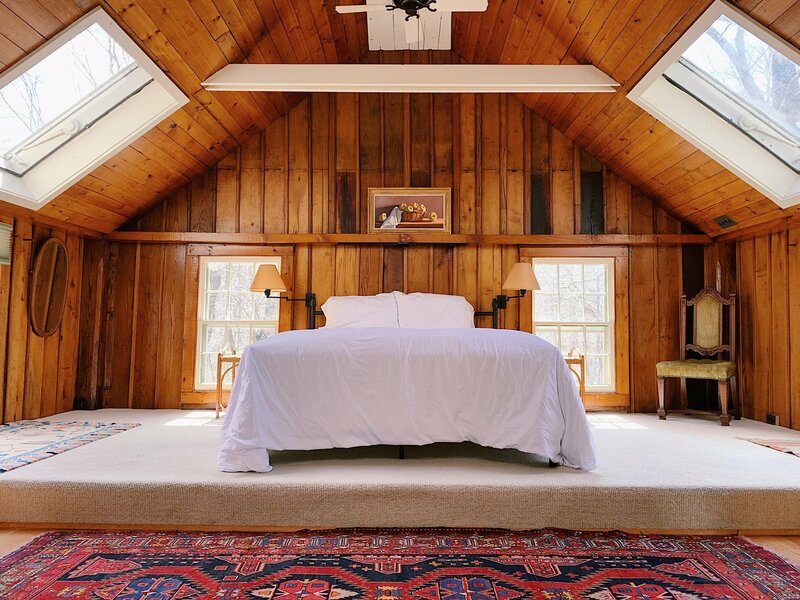 Upstairs is an open, light-filled bedroom with an abundance of large skylights, a library, a desk, and views out over the property. 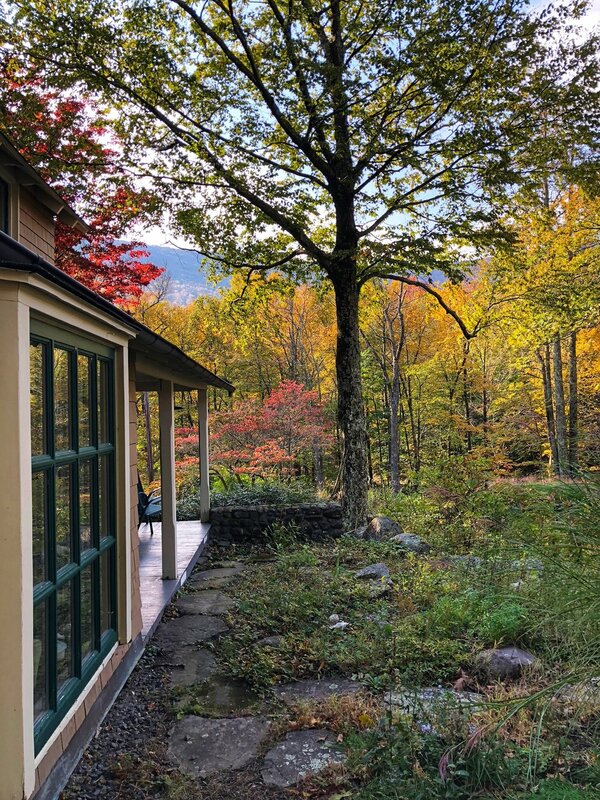 Set on 17 private acres in West Shokan, NY, Strange HQ is a meandering mini compound with perennial gardens, shady trees, a mossy lawn, and four buildings all nestled around a clear spring-fed pond. On our property, we have a grill, two firepits, and plenty of space to saunter, explore, or sit outside with a book or glass of wine. 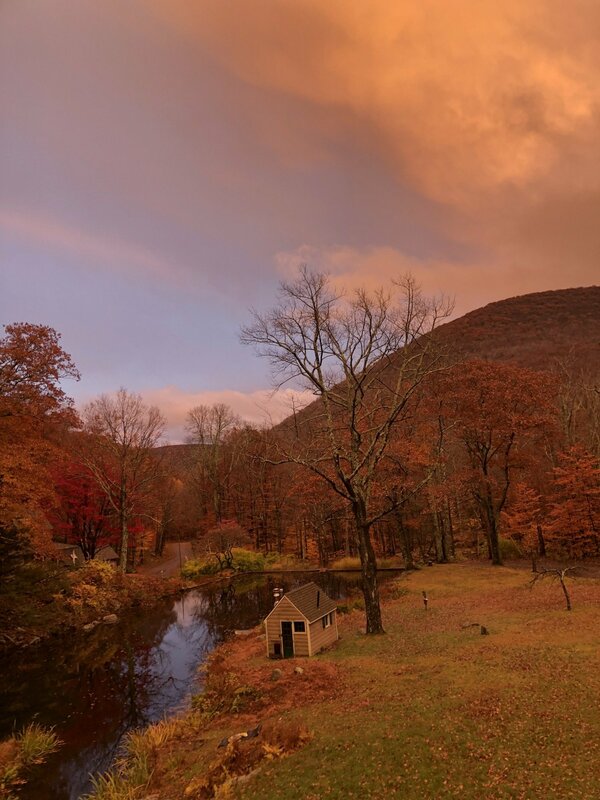 One wonderful thing about the location is the movement and energy in the air: Water flows off the mountain, into the pond, down a staircase waterfall, and finally under the road into the river that wraps around and serenades the property. This river—known as Wittenberg Brook—flows into the nearby Ashokan Reservoir, which is where NYC's drinking water comes from. Guests are welcome to take a refreshing dip in the pond, explore around the river, and wander up into the forested mountainside—or, for more ambitious hikers, there is a bushwack trail on state land just up the road from our house. 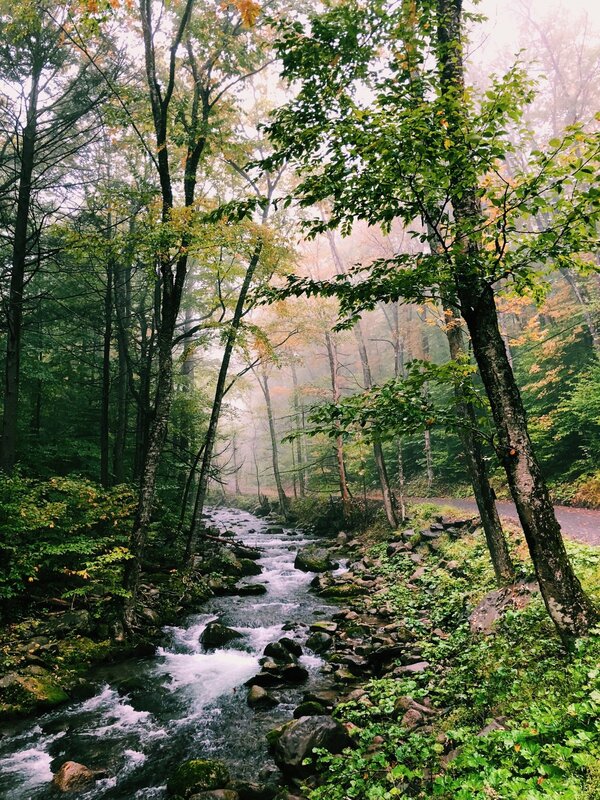 Our road is one of the most beautiful roads in the Catskills, and is frequented by walkers who come to enjoy a meandering stroll alongside the river, which follows the road for several miles. Rates may vary by season, and we are happy to offer discounts for artists, on-mission organizations, or longer-term stays. We are also happy to discuss "cooperative"-style rentals, where guests handle their own linens and cleaning for a reduced rate. In general, there is a two-night minimum for each space. While we are open to hosting events at the property, note that bringing additional guests to the space (beyond those staying overnight) or setting up extra accommodations or equipment may require additional consent and/or fees. Please contact us to discuss special requests and inquire about availability: [email protected] (we usually reply within 24 hours). - Accommodates 10-13 people in 3 queen beds, 2 doubles, and 1 sofa bed, with 3 kitchens and 4 bathrooms between all 3 spaces. * Note that this rate does not include the property owner's apartment, which shares a wall with the barn. 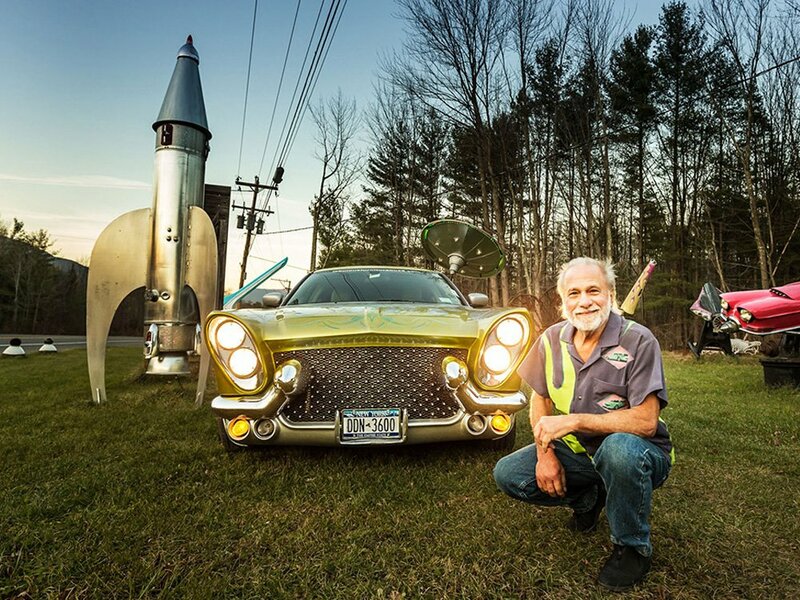 Located in West Shokan, NY, Strange HQ is approximately 2.5 hours north of New York City. 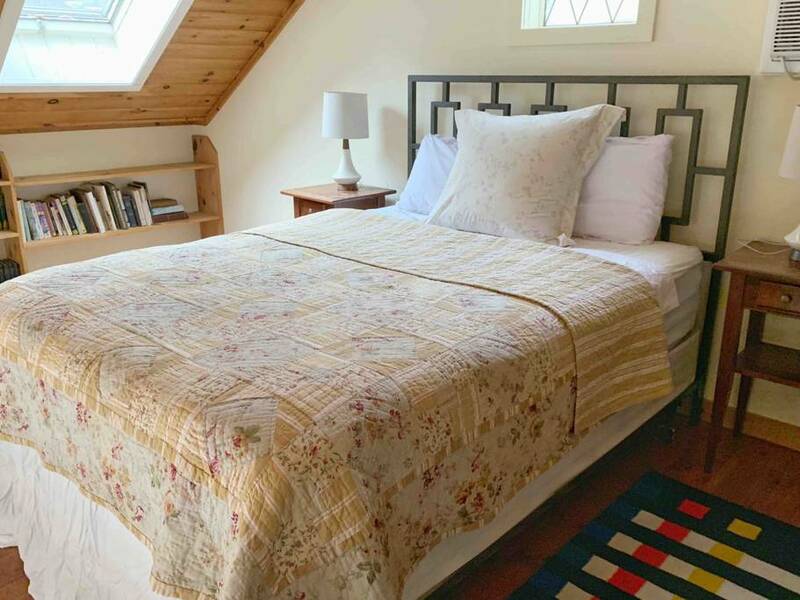 We are close by car to the hamlet of Phoenicia (15 mins), the town of Woodstock (20 mins), and the city of Kingston (30 mins)—all of which have tasty dining options, great book stores, plenty of antique shops, and other points of interest to explore. The closest bus stop is ~15 minutes away in Phoenicia (with buses running multiple times daily from the Port Authority Terminal in NYC), the closest train station is 45 minutes away in Rhinecliff (the Amtrak runs often, and the trip between Rhinecliff and NYC's Penn Station takes approx. 2 hours), and the closest airport is Albany International, which is 1.5 hours away by car. We are also just over 2 hours from Newark International Airport, where it is easy to rent a car. 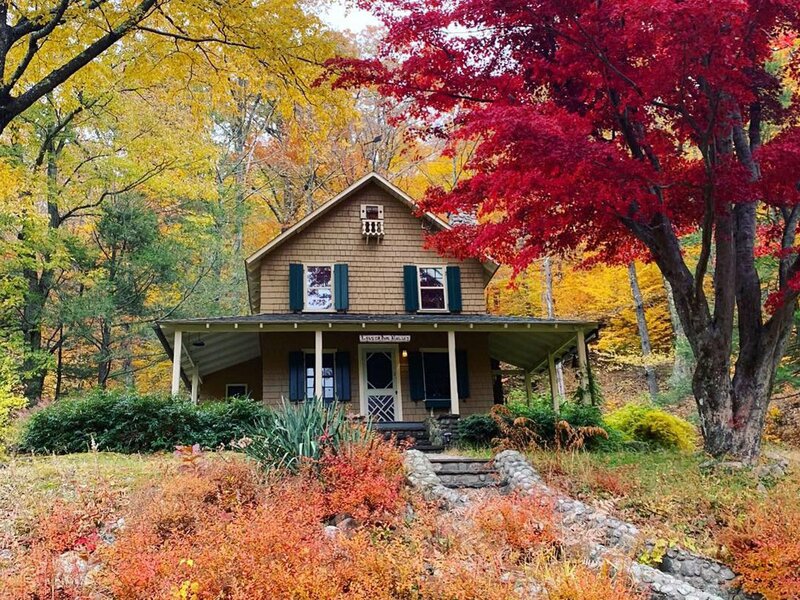 The eastern Catskills are a mecca for eating, drinking, and plenty of outdoor adventures. Within a 30-min drive of Strange HQ, there are dozens of great hiking and swimming locations, as well as ski slopes, trout fishing, and even tubing in the Esopus River, which can be accessed from just down the road. The closest grocery store is the Boiceville IGA (10-min drive), which also has a pharmacy and a liquor store right next door. For local produce, dairy, meats, and other goods, we recommend the Migliorelli Farm Stand near Phoenicia, or Tremper Hill Farms, located at 5224 NY-28 (they are open late on Fri nights). There is also a Hannaford’s (open late most days) in West Hurley, and a great Adam’s Farm Store in Kingston, which has excellent produce. On your way up Rt. 28, Cheese Louise is a great store for cheese, meats, and other speciality items. For a close-by coffee and breakfast sandwich, we recommend Marty’s Mercantile. The famous Phoenicia Diner is about 15-mins away by car, and the Bread Alone bakery and café on Rt. 28 in Boiceville is just a 10-min drive and has amazing breakfast and lunch food, plus great coffee, fresh-baked bread, and pastries. 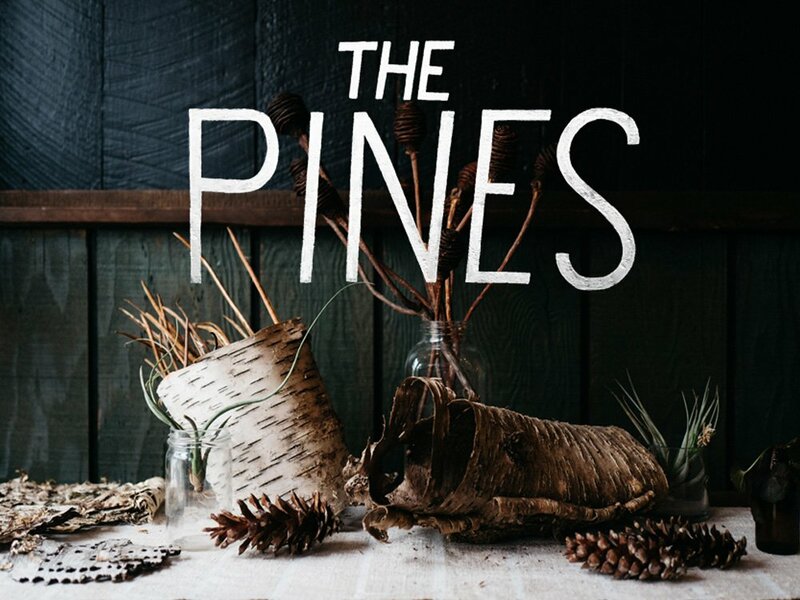 For dinner and drinks, we love The Pines in Mt. 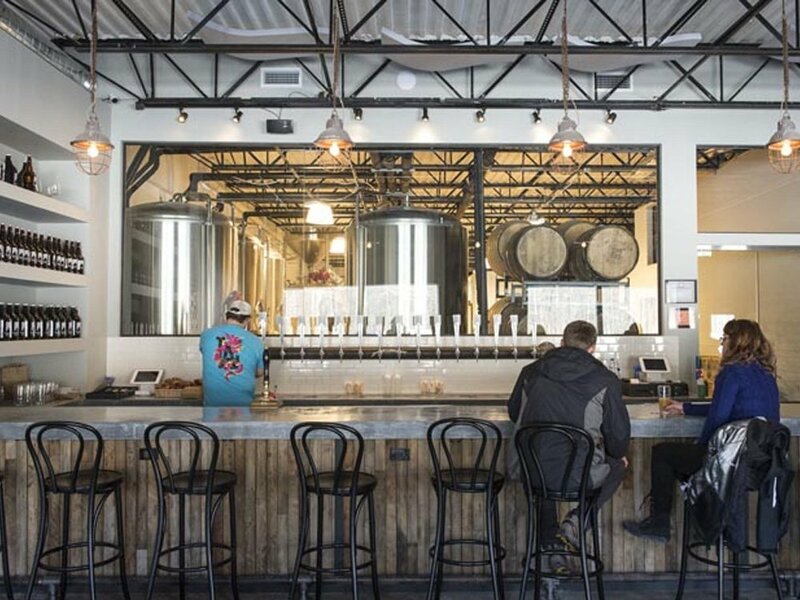 Tremper, Woodstock Brewing (great beers brewed right there, lots of board games, and good food—plus it’s next to Resort Ridge Pizza, where you can grab a tasty pie w/ sesame garlic crust to go). Taverna 214 in Phoenicia has delicious up-scale bistro food, SILVIA and Cucina in Woodstock are both delicious and hip, and Peekamoose in Big Indian has great outdoor fire pit where you can roast s’mores. 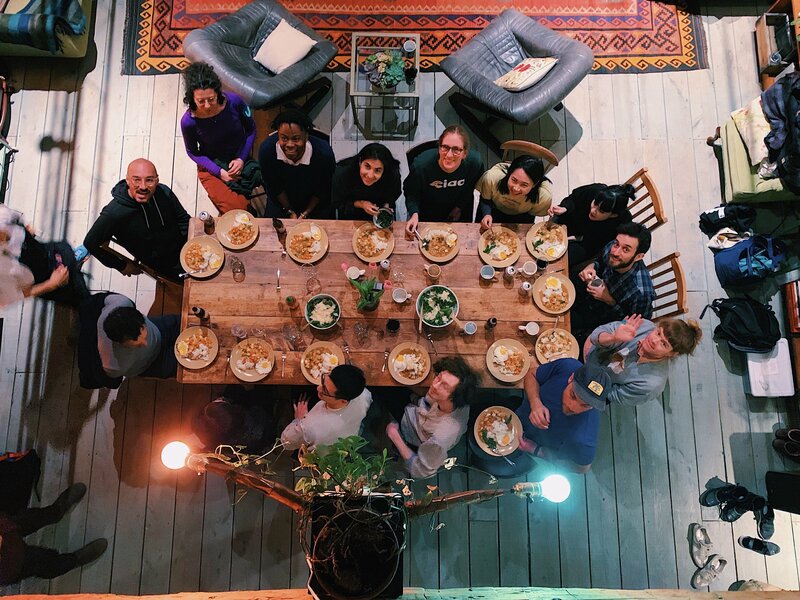 Bear Café in Woodstock is also very good, and overlooks a beautiful river—plus, local acts often perform at the Bearsville Theater next door. A little farther out in Kingston, you can’t beat Diego’s for tacos and margaritas, Yum Yum Noodle Bar for ramen, or Kova for Greek food. 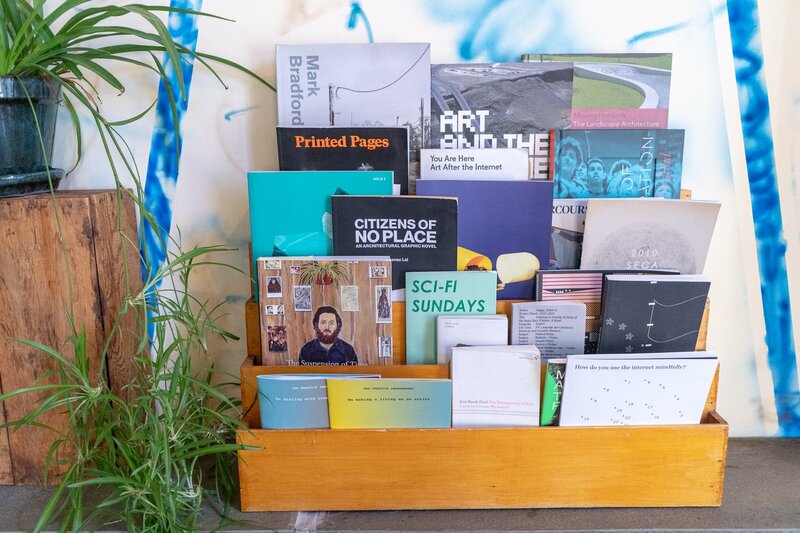 We also love Rough Draft for books/coffee/wine, and Outdated Café for breakfast/lunch and a nice spot to work from. 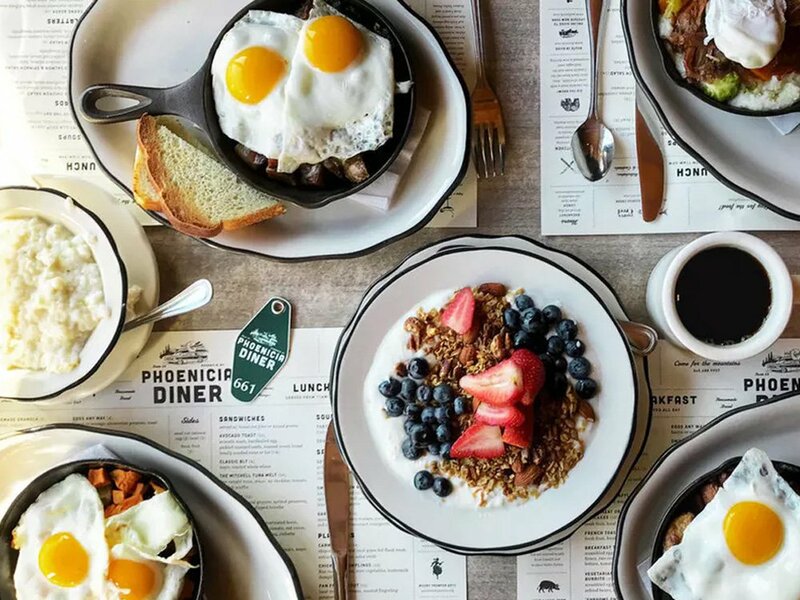 Phoenicia, Woodstock, and Kingston are all nearby and worth visiting. Each has shops, restaurants, and interesting places to check out. In Kingston, the Kingston Point Rotary Park is a gorgeous, dog-friendly walk along the Hudson River—we highly recommend it! In the warmer months, the Kingston Farmer’s Market happens on Saturdays in the heart of historic Kingston until about 2pm, and is really great for local produce, food, flowers, and more. In Woodstock, you'll find all sorts of new-age shops and aging hippies, plus plenty of tie-dye for sale. 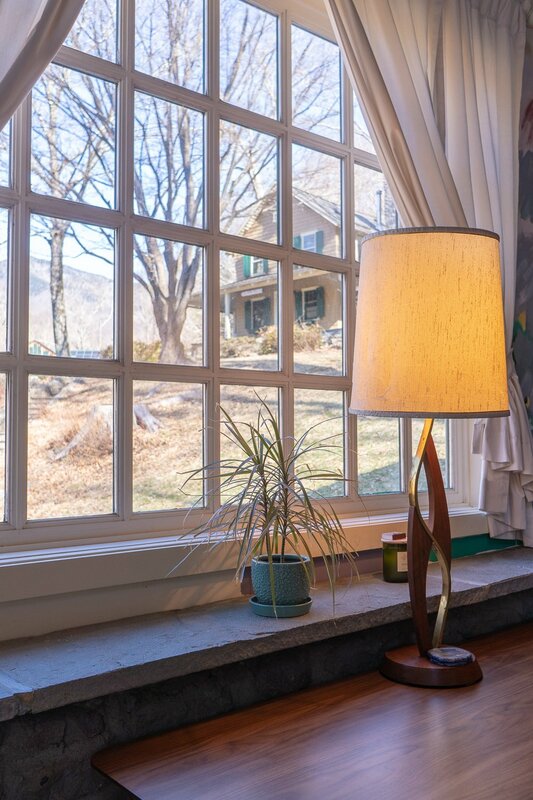 You can drive up to the historic Byrdcliffe Arts Colony, and explore around the mountainside that houses America's longest-running art colony—the hike up Mt. Guardian is terrific. For more hiking, we love Kanape Brook, which is just a 10-min drive from Strange HQ. Overlook Mountain is great on weekdays, or on weekends if you get there early enough (parking fills up quickly). 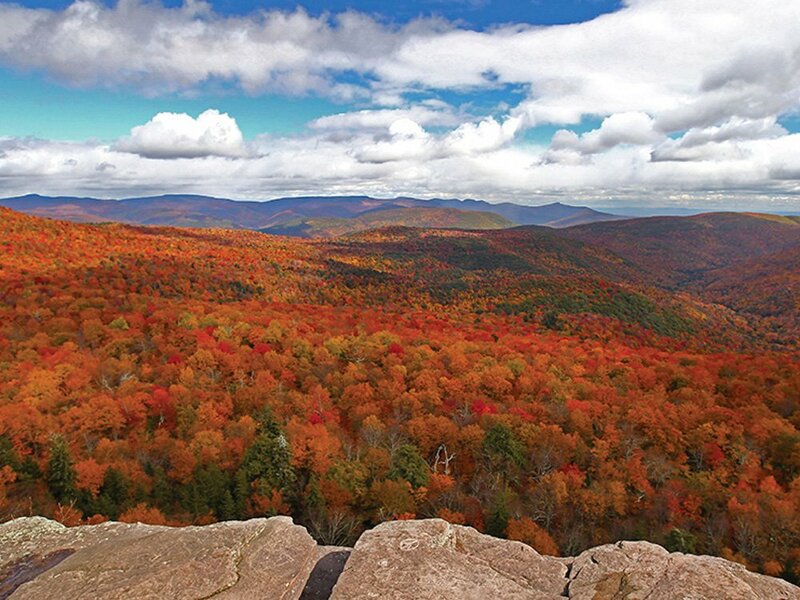 We also recommend Giant Ledge in nearby Shandaken, though it’s a bit of a drive (40 mins). There’s also a bushwhack hike at the end of Moonhaw Road—it's great if you just want to wander and explore in the woods, though we only recommended that seasoned hikers attempt to do the full hike, as it's quite difficult. 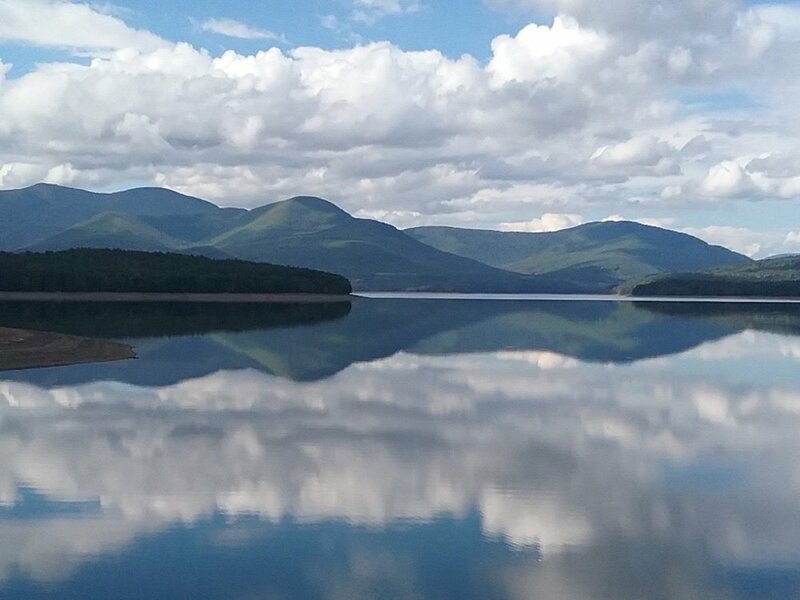 We also adore the walk around the nearby Ashokan Reservoir, which you can access at the Ashokan Promenade Parking Area (a 15-min drive from here). Dogs are sadly not allowed at the reservoir, but it offers amazing mountain views and you can often spot bald eagles, as they nest around the reservoir. We also recommend checking out the Peekamoose Blue Hole, which is a gorgeous swimming hole about 15-20 minutes up Watson Hollow Road. There are many waterfalls to be seen on the drive over there. Note that in the summer, you need a permit to swim at Blue Hole, because it has recently exploded in popularity.